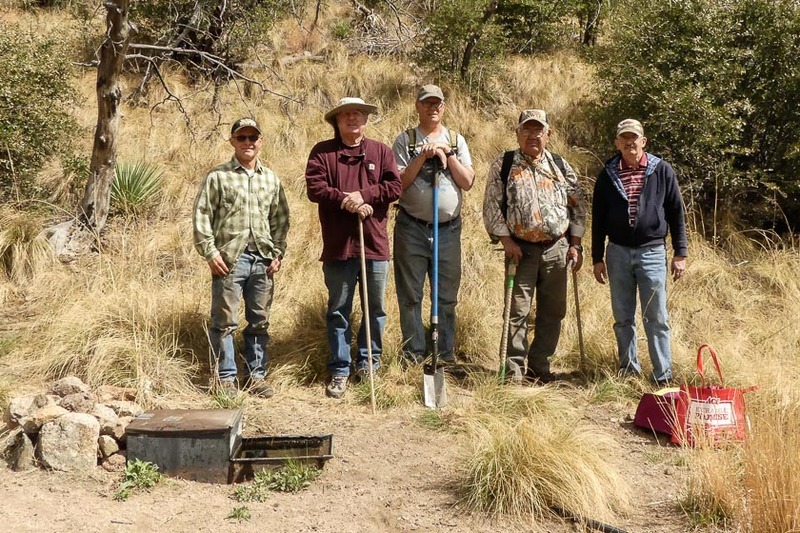 On March 27th, 2018 volunteers from the Huachuca Gould’s Chapter of the National Wild Turkey Federation replaced the badly deteriorated collection pipe at Kelly Spring in the Huachuca Mountains. After re-connecting the collection pipe, installing a new flushing valve, and snaking the line, the development was back in operation with a full storage tank. The float valves in the drinker and storage tank were tested as well. 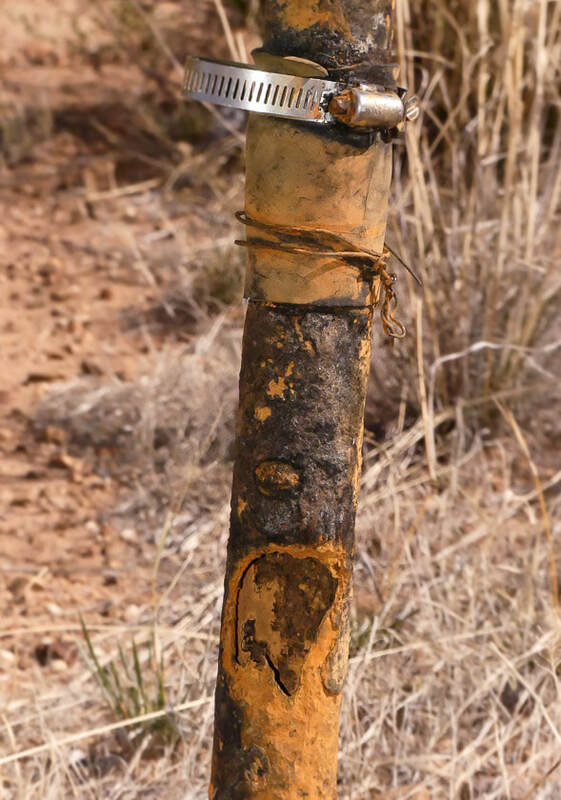 The very evident sign of deer and javelina around the drinker means that the development continues to be an important water source. The Chapter did extensive repairs (essentially re-building) to the development after damage from the Monument Fire of 2011 and subsequent erosion following several storms. 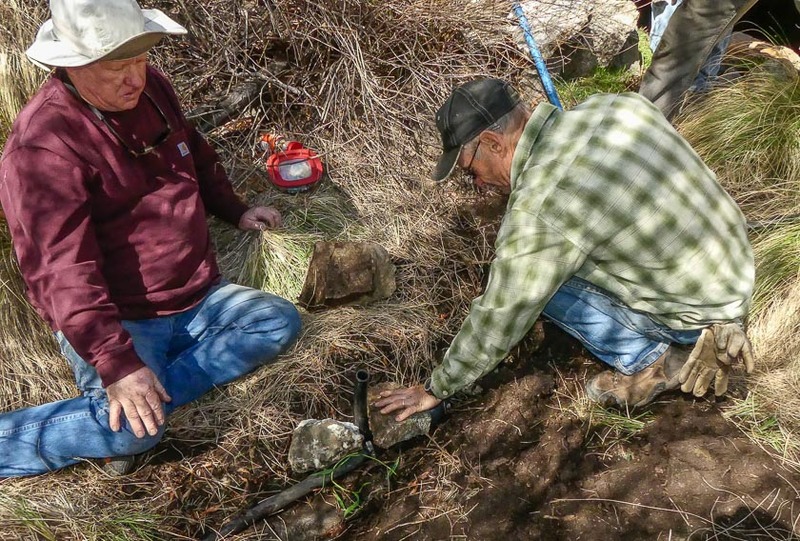 This water source was originally modified for wildlife by the Chapter in February of 2002. Dave Inman, Bob Pourier, Dave Kemnitz, Randy Keiller, John Millican, and Tom Deecken completed the necessary repairs. 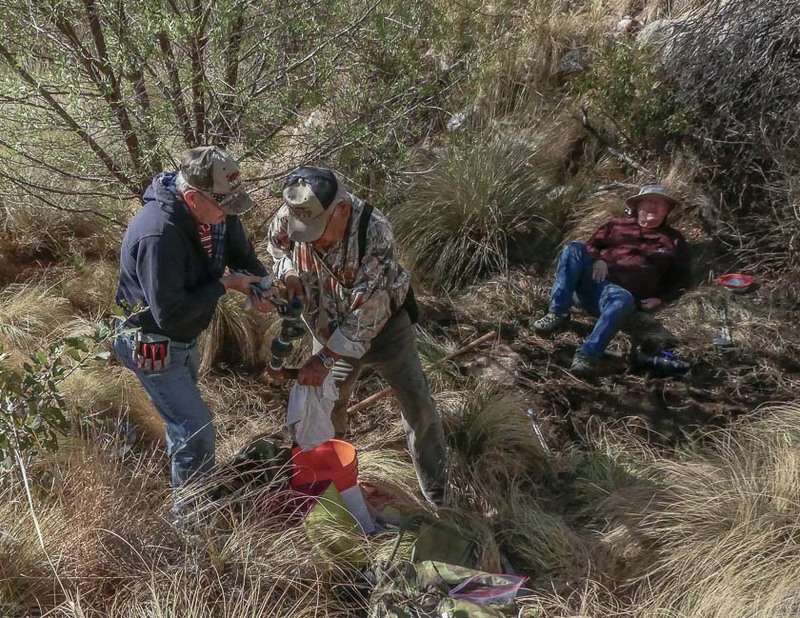 This crew carried supplies and tools the .6 of a mile distance from the parking lot along an existing trail. Not a bad walk if you don’t think about the weight that you are lugging! 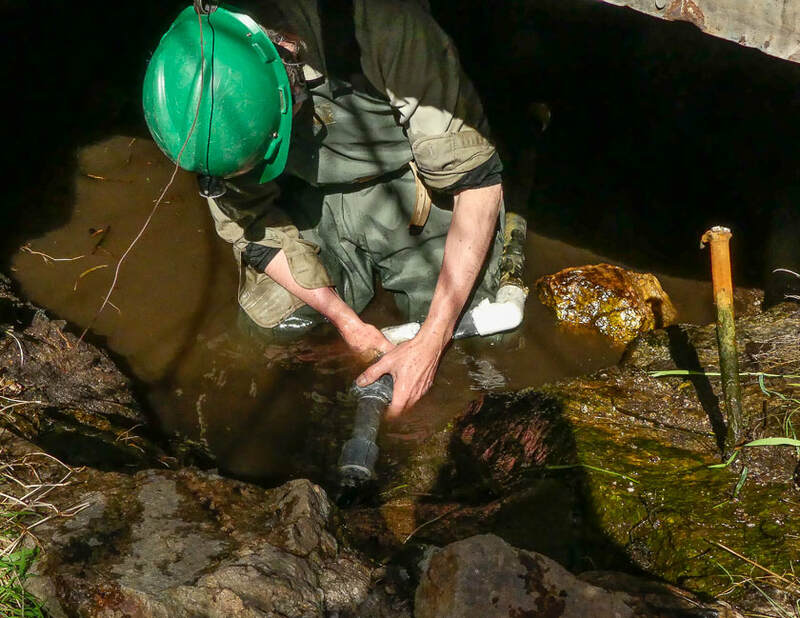 Monitoring will continue to ensure that water is available for wildlife in the area. 001 Definitely Time to Replace the Old Collection Pipe! 002 Hard At Work- Dave Inman and Bob Pourier (left to right) assemble the new collection pipe while Randy Keiller (background) guards the chocolate Easter bunnies. 003 New Flush Valve- Just below the spring, Randy Keiller and John Millican (right) cover the new valve on the line that will allow easier flushing in the future. 004 Meanwhile At the Spring- Tom Deecken installs the new collection pipe at the spring. Crew, don’t leave yet. He is going to need help getting out of this hole! 005 Good Job!- Back at the drinker, the crew poses for a portrait before heading home in time for lunch. Left to right are John Millican, Randy Keiller, Dave Kemnitz, Bob Pourier, and Dave Inman. Tom Deecken took the picture.